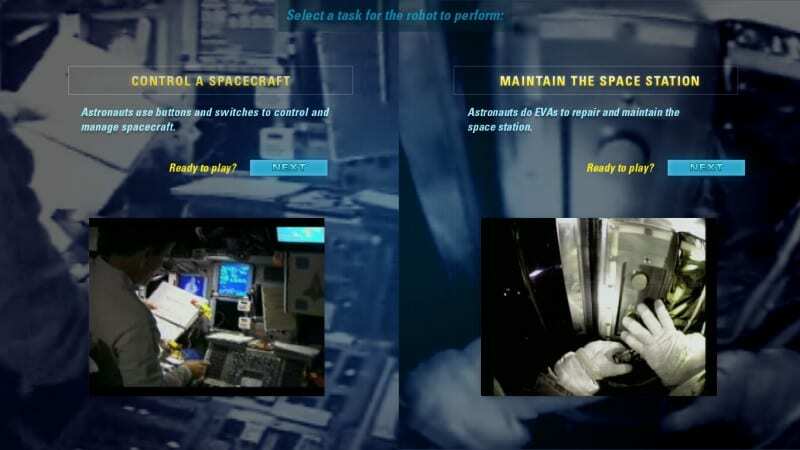 Mad created a range of interactive displays for the Smithsonian Air and Space museum in Washington D.C., one of which controls a DARPA semi-autonomous research robot. The second robot on display is the original NASA/DARPA Robonaut 1A after it was decommissioned from Space Lab. Amazing! We created three interactive exhibits, the first one a time line of robots and robotics, the second one the result of three days of interviews we did with some of the top robotocists in the United States who told us what their work means to them, and the third software that allows the public to control Robbie, DARPA’s robot. Here is a movie of some of the semi-autonomous experiments that were being done by Robbie. 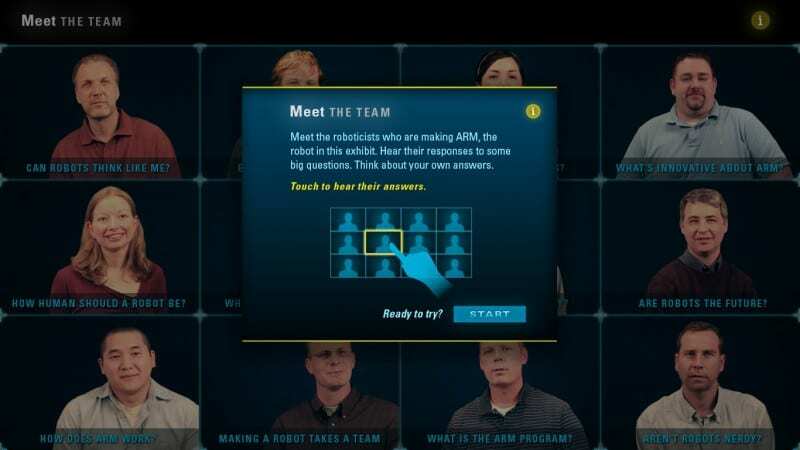 The DARPA Autonomous Robotic Manipulation (ARM) program is developing software that enables robots, given only high-level direction, to autonomously grasp, manipulate and perform complex tasks in unstructured environments. 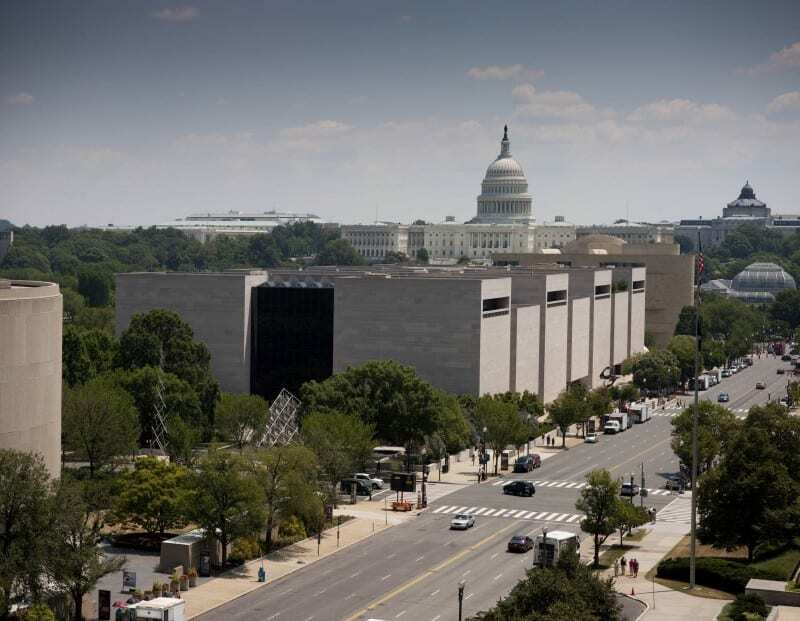 At the Smithsonian National Museum of American History, an ARM robot known as “Robbie” has been playing games with curious and intrigued visitors. 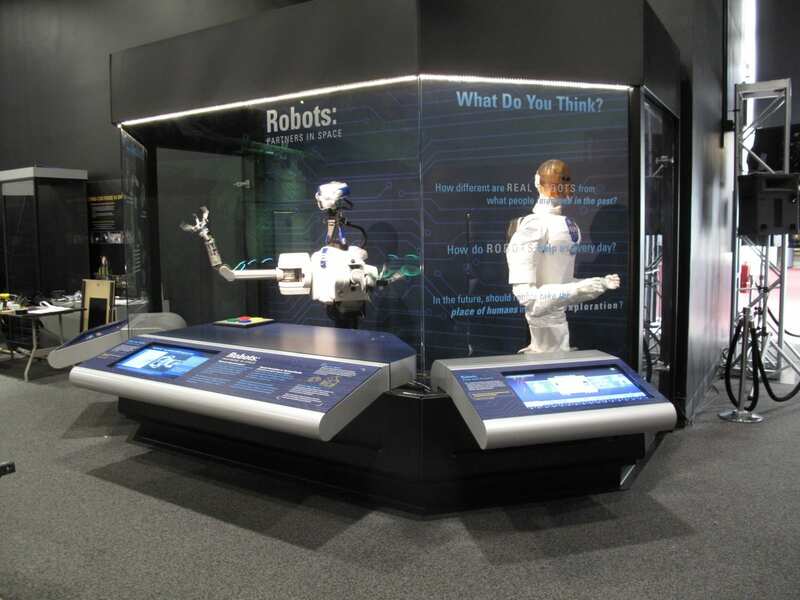 The exhibit teaches visitors about how robotics can impact society and encourages young people to pursue careers in science and engineering. 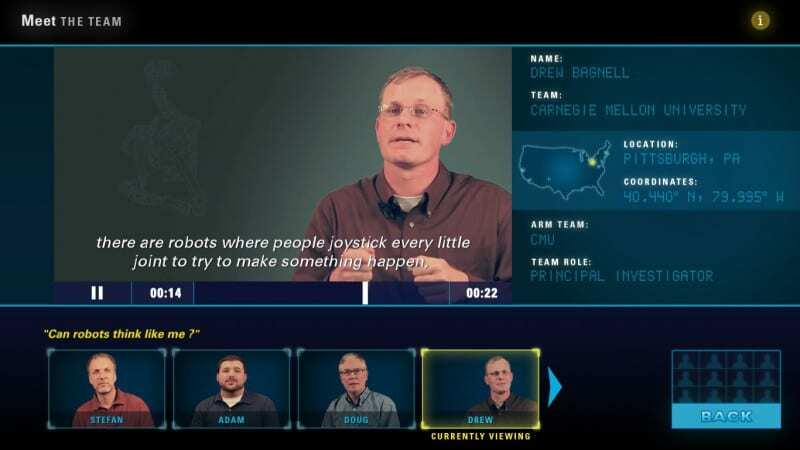 DARPA is also offering the public the opportunity to develop and test code to perform tasks in the robot simulator, then upload that code to an actual robot and watch it execute the task in real-time via the web. 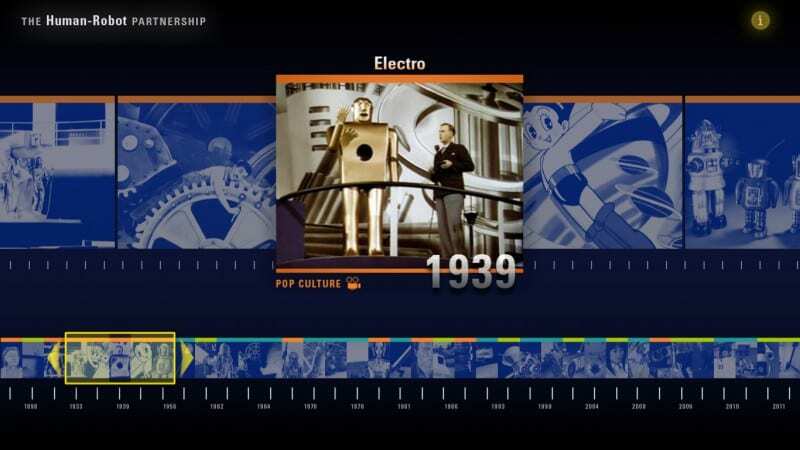 Related interactives for this exhibit were “Meet the Team”, where we were privileged to interview some of the top robotocists in the USA, and the robotics time line, which makes for a great way to see the development of robots, both imaginary and real, through the ages. This one was real enjoyment for us – working with some really nice people, meeting amazing subjects for our interviews, and resulting in a rather special exhibition! 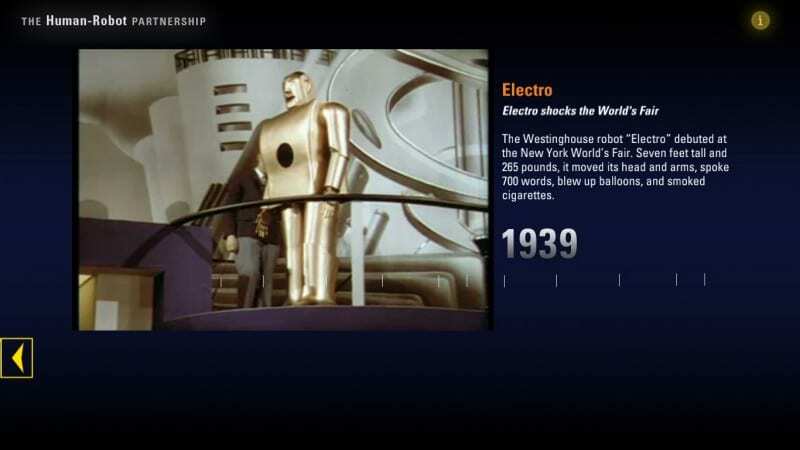 The time line is a fully configurable interactive – in this case, it is populated with dates, images, text and movies that relate to the development of real and fictional robots through the ages. 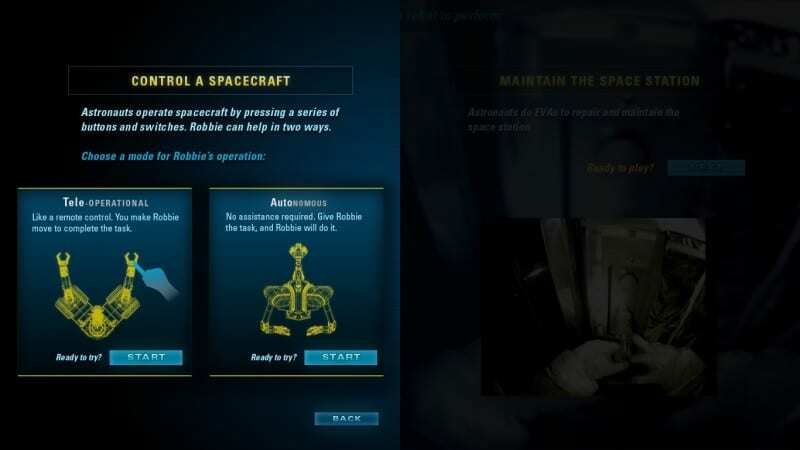 This is the interactive interface that allows visitors to control the robot – or select for the robot to execute some semi-autonomous commands.